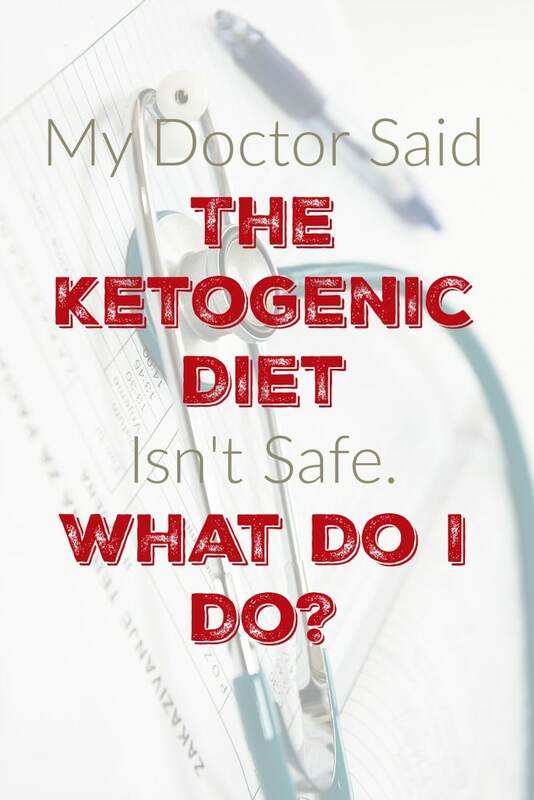 My Doctor Said The Ketogenic Diet Isn't Safe. What Do I Do? 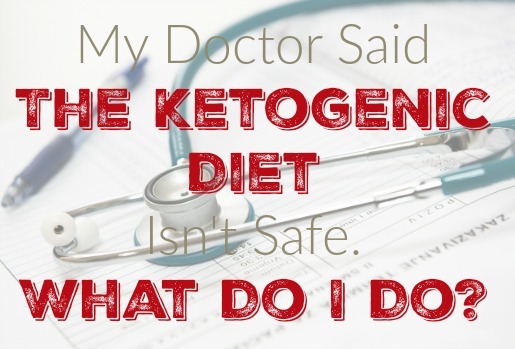 Our continuing series on Ketogenic FAQs. I vividly recall the day I told my doctor I was eating LCHF. I had been weighed and measured by the nurse and was sitting on the little table waiting for the doc to come in. She had in a previous visit told me that I had metabolic syndrome and at 400 lbs and blood pressure that was astronomical, it was only a matter of time before I had a heart attack or stroked out. Her helpful advice at the time was to lose weight but her method was the same tired ole Eat Less, Move More model that has never worked for anyone. She came in the room and noted how I had lost about 50 lbs since our previous visit and was seeing some improvement in my BP numbers so she asked how I was doing it. I told her I cut out all the sugar and grains and started eating more meat. Oh my, the look on her face became much darker as she frowned and told me that not eating the sugar was probably a good idea but you need those “heart-healthy grains” for optimal health and meat consumption has been linked to CVD and heart attacks. Fortunately even though I was very new to this way of eating, I knew enough to be able to stand my ground and tell the doc this was how I was going to eat for the foreseeable future. Of course now I’m 200 lbs lighter and my diet is probably 80% meat, if she was still my doc I would love to know her thoughts on that but I fired her not too much after this visit. So now you are in the same position I was in. 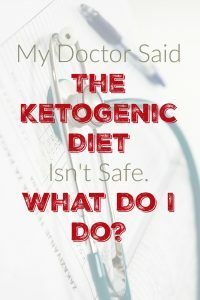 Your doctor has you feeling uneasy about this way of eating and you want to make sure you are doing the right thing and you want the fact you need to back up your stance. What now? Here are some helpful tips to make sure you are well-informed on your next visit to the Dr’s office. #1 This is the way we always ate. This simple fact is enough to at least stop a doctor and give them something to think about, If they have gone through medical school, they know that the human body works the way it does because it has been shaped by thousands of years of evolution. So the evolutionary forces that optimized the body over time should be the same forces that will lead to optimal health today. What did our ancestors do? The hunted and fished. Sure they gathered a bit but mostly they ate meat. Fruits and veggies were only available when ripe and that was for only 2 or 3 months a year. The rest of the year you better have a sharp spear or wide net to get your calories. This is similar to the first point but it is worth pointing out. If you condensed all of human history to a year, we only just invented agriculture yesterday and started eating vegetable oils a few minutes ago. A grain or carbohydrate based diet is a new innovation in human history and always leads to poor human health. Here is one of my favorite articles on the most famous agrarian society in history. It might be helpful to take a book with you that can explain what you are doing and ask the Dr to read it so they are informed about what is going on with you. This can be a little tricky because you don’t want the doctor to fee like you are smarter than them or that you trust some author more than your doc so you will have to come at it from the direction of you guys being a team and you think this will work and you want your doctor’s support and guidance. You might also want to tailor the book to your specific problem so if you just have obesity, try Why We Get Fat, or if you have T2D, try The Diabetes Code, or Tripping over the Truth if you have cancer and so on. That way you and your doc can at least be on the same page. If you are going to do this, do it right so you have results to show your doc. If you cheat or are real haphazard about this way of eating and show no progress in your weight, cholesterol, HBA1c, or other health markers, you aren’t going to impress your doc. Be faithful and let this way of eating heal your body. Who knows that you may be able to influence all your doctor’s patients with your progress through a newly open minded doctor. How did you handle the situation with your doctor? Have any helpful tips you would like to share? Please leave them in the comments below!